JoAnn Lavelle, age 86 of Baldwin, Wisconsin died Tuesday, July 3, 2018 at Birch Haven Assisted Living in Baldwin. VISITATION will be on Thursday from 5:30 until 7:30 at Keehr Funeral Home in Spring Valley. MEMORIAL SERVICE will be Friday, July 6, 2018 at 11 a.m. at Sacred Heart Catholic Church, Spring Valley. Burial will be in Sacred Heart Catholic Cemetery, Spring Valley. JoAnn was born September 18, 1931 to Carl and Mildred (Spain) Blanz in Minot, North Dakota. 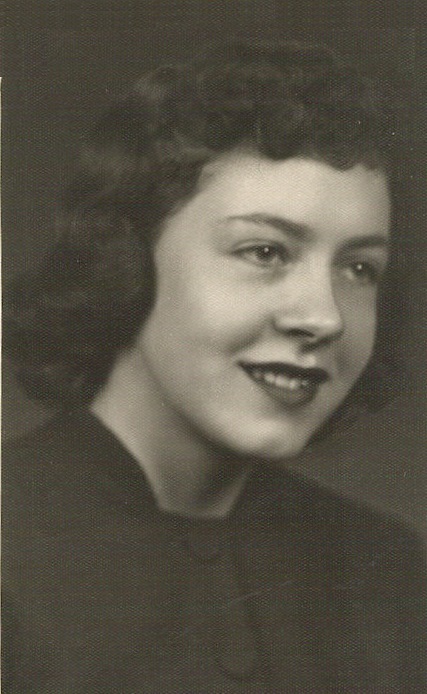 She grew up and attended school at Minot graduating from St Leo’s High School with the Class of 1949. After high school she moved to Minnesota and attended St Mary’s Hospital Technical Training Program. She studied to be an x-ray tech and acquired an Associate Degree. While in Minnesota, she met Jack Lavelle. They were married August 8, 1953. JoAnn and Jack moved to the Lavelle family farm, 8 miles from Spring Valley in 1955 and lived there for 60 years. She is survived by 2 daughters and one son: Alanna (Howard) Hatfield, Atlanta, GA; John (Luann) Lavelle, Baldwin; and Amy (Ron Schempp) Lavelle, Apple Valley; 6 grandchildren; 1 great grandchildren; other relatives and friends. She was preceded in death by her parents; husband Jack; son Steven, and 2 brothers.